Lamps and candlesticks There are 5 products. 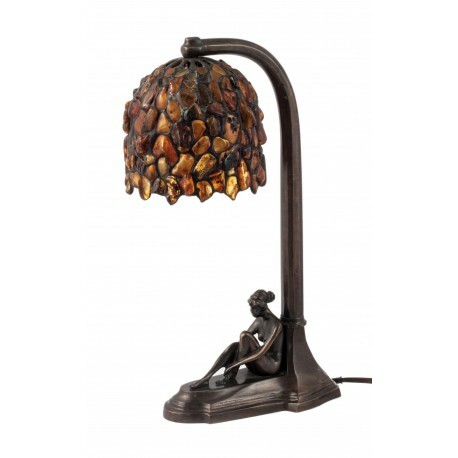 An original lamp with a hood decorated with the natural Baltic amber. Soft and contrasting amber colors originally revealing themselves when illuminated. 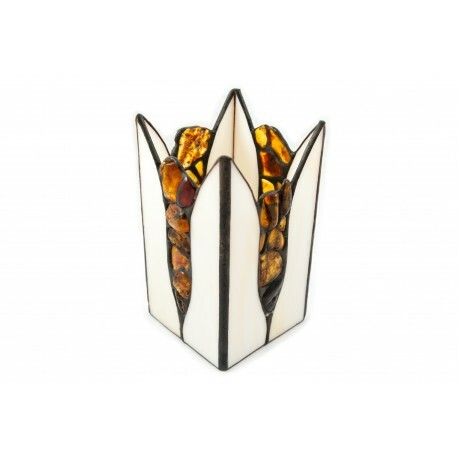 White, matted stained glass candlestick decorated with amber and tin. 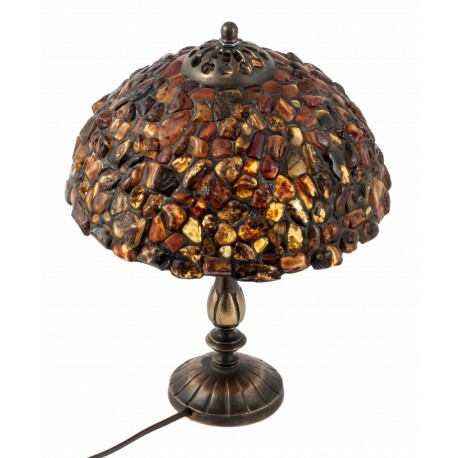 An original lamp with a hood decorated with the natural Baltic amber. Soft and contrasting amber colors originally revealing themselves when illuminated. The lamp pattern is made of brass. 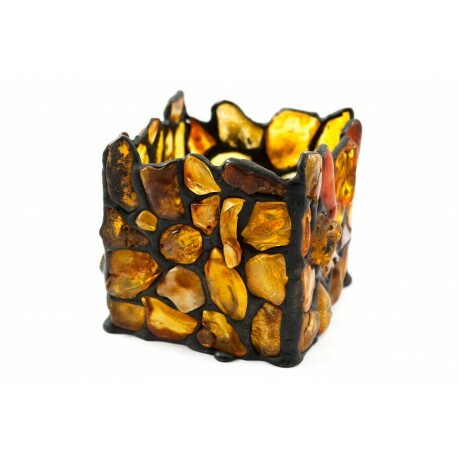 A candlestick richly decorated with natural amber pieces of different shades.